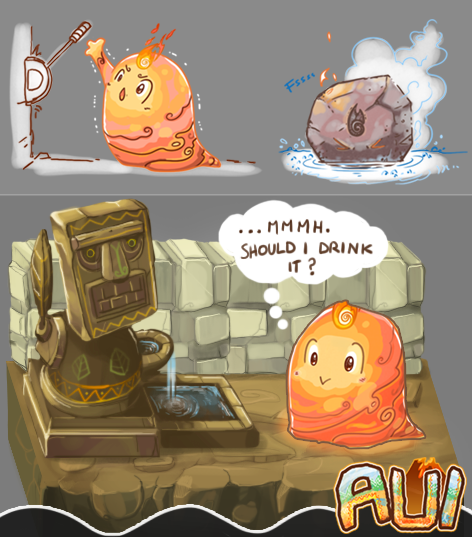 Meet the cutest lava slime EVER and master his many forms: Itâ€™s time for AUI!! 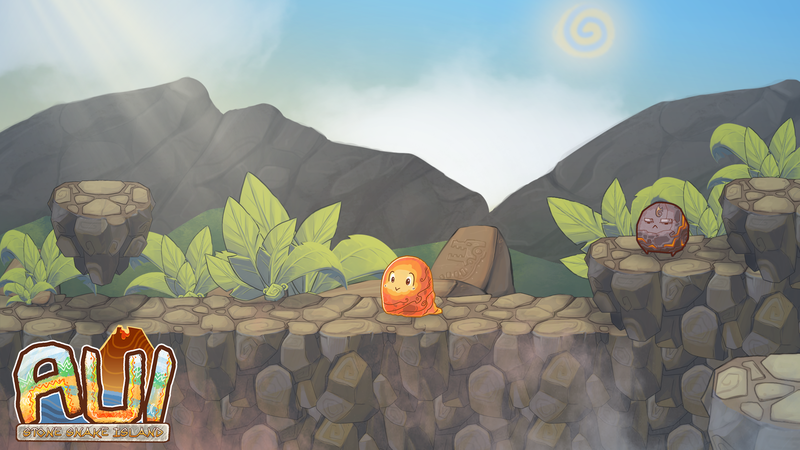 AUI is a platform puzzle adventure set on a tropical island amidst fire and water. To return the favor of saving his life, a young lava slime is determined to aid in her escape a frail water spirit trapped in a pond that will be destroyed by the wake of the near volcano. 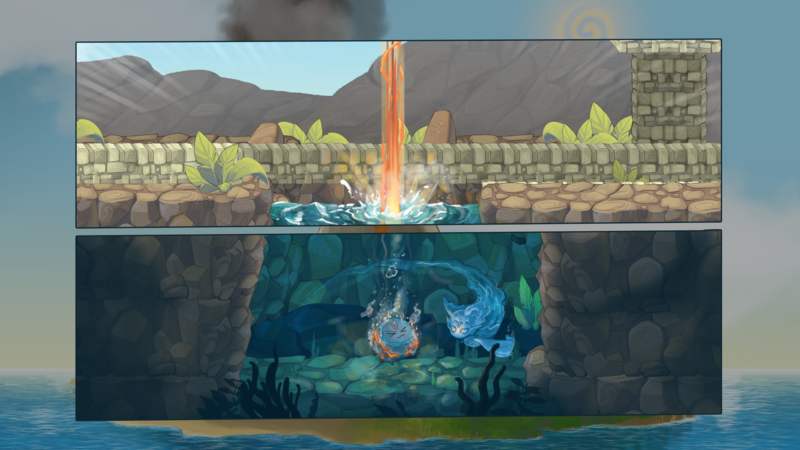 Join our goofy hero, take advantage of the environment to switch from solid rock to liquid lava to explore the beautiful island and save the water spirit from certain demise! Aui's basic magma form. He's swift and nimble, able to jump around, stick on walls and wall-jump. He's hot! Aui's solid form. He's not very agile, but very strong and sturdy. He can break stuff and roll around. He rocks! Just a few updates about the project. We're currently working on the backgrounds. The game is set on a remote volcanic island, previously populated by tribals, now uninhabited. For this setting, we're trying to mix a sunny cartoon environment with some elements from the Polynesian culture's traditional art style. What do you think? Any feedback is very appreciated! That's in the initial concept. Working on the intro of our AUI: check this pic! Who's this mysterious new creature? We are animating obstacles and stuff in the background, which will help Aui change into his various forms. The Stone Snakes (which name the island itself) will either blast poor Aui with either fire or water: dodge flames if you want to stay rock-solid, jump into them to melt into lava-form and vice-versa! This is beautiful! What engine are you using for this? The intro video for AUI is finally ready!!! What do you think of the stone carvings? Wow, this really impressed! You have put a lot of effort into the artwork style! YAY! We did it! It was very hard to finish in time! We've successfully submitted our project: we can relax now, right? Right?! It's now time to present our work in the best way possible! So... I've just finished improving the game page. The keyword is: LAVA.